Test and certify your French-language skills with the DELF (diplôme d’études en langue française: for beginners and intermediate-level learners) and DALF (diplôme approfondi de langue française: for advanced learners) examinations. In 2015, the DELF and DALF examinations were available in 173 countries. Learn more about the DELF-DALF Exam? – oral comprehension, – oral expression, – written comprehension, – written expression. In order to prepare yourself for the DELF exam we offer DELF preparation courses. In Canada, a total of 27,500 Canadians have taken DELF-DALF exams over the past few years (as of January 1st, 2015). As a result, the DELF and DALF examinations are becoming more well-known and receiving greater recognition from administrative organizations, employers, and educational institutions. DALF exam results open doors at universities in France and at a growing number of European and Francophone universities. Students who have earned a DELF level B2 will be exempted from the language test requirements for registration at French universities, through the preliminary application for admission (DAP) procedure in effect at French. Students who wish to take the DELF B level exam are encouraged to take this course. The course starts 4 weeks before the week of an exam session. No books are required for this class. Tuition fees: $185 (early-bird discount: $165) The early-bird discount is valid up to one week before the first day of the class. 1. Download and complete the form related to the exam session of your choice, you will find that form below the schedule. 2. Once completed, return the form to us: you can either email it at info@afedmonton.ca, bring it to the office or mail it. 3. Payment of the exam: for online payment with credit card, click here and choose your exam. At the office you can use debit/credit (we can process the payment over the phone with a credit card at 780-469-0399 ext. 104), cash or cheque to the order of Alliance Française of Edmonton. 4. Your registration will be complete once the payment is made and you’ve returned the registration form. DELF Tout Public March 2019 – Register between Jan.20 and February 28, 2019. Registrations are closed for this session. To register for this exam, please complete this form for June exam session and return it to us. DELF Tout Public November 2019 – Register between Sep. 30 and October 31, 2019. To register for this exam, please complete this form for November exam session and return it to us. Tuition fees: $185 (early-bird discount: $165). The early-bird discount is valid up to one week before the first day of the class. Attention, these Preparation classes are only for B1 and B2 DELF JUNIOR levels. 1. Download and complete the form related to the exam session of your choice, , you will find that form below the schedule. DELF Junior – April 2019 – Register between February 4 and March 29 , 2019. DELF Junior – May 2019 – Register between February 18 and April 26, 2019. To register for this exam, please download and complete this form for Mai exam session and return it to us. DELF Junior – June 2019 – Register between March 11 and May 31, 2019. To register for this exam, please download and complete this form for June exam session and return it to us. DELF Junior – November 2019 – Register between September 23 and November 15, 2019. To register for this exam, please download and complete this form for November exam session and return it to us. The DELF and DALF are six separate diplomas issued by the French Ministry for National Education to certify the language skills of persons whose mother tongue is not French. The results of these exams are valid indefinitely. 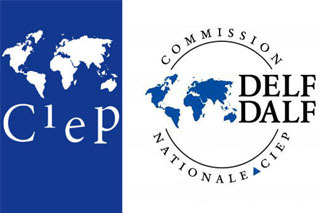 DELF and DALF certificates were developed by the Centre International d’Etudes Pédagogiques (CIEP) and reflect the six levels of the Common European Framework of Reference for Languages (CEFRL).